Watching the July 4th fireworks has been a long-standing family tradition. But, capturing the beautiful aerial displays can be hard if you stick with the auto settings on your smartphone. 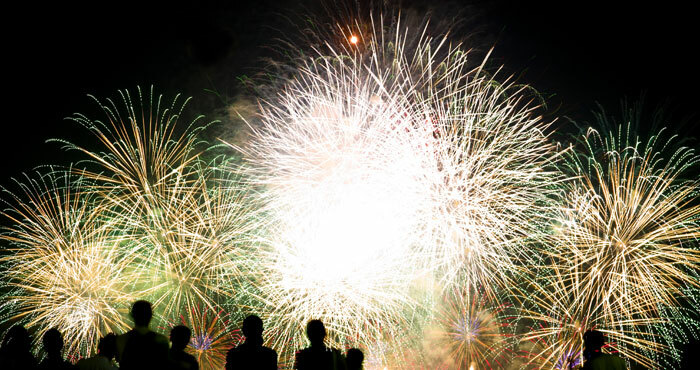 So, try these simple tricks for fireworks photos you'll want to keep. When you take a picture of fireworks, your phone's camera needs to hold the shutter open long enough to “see” the fireworks. The longer the shutter is open, the more susceptible your photo is to motion blur. So use a tripod to make sure there’s no movement. If you have a flat surface for setting up your phone, try the WiHoo Selfie Stick ($25, check price on Amazon). 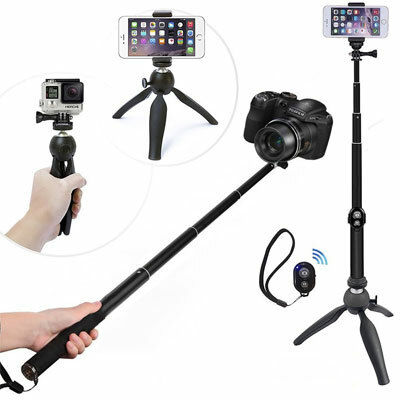 This combination selfie stick and tripod has a Bluetooth remote control, so you can place your phone in the place with the best view and trigger your shots with the remote. If you don't have a good surface, Joby's GripTight Gorillapod Pro ($59.95 on Joby.com, check price on Amazon), which can wrap around trees and poles or stand on the ground, is a great option that fits most smartphones. 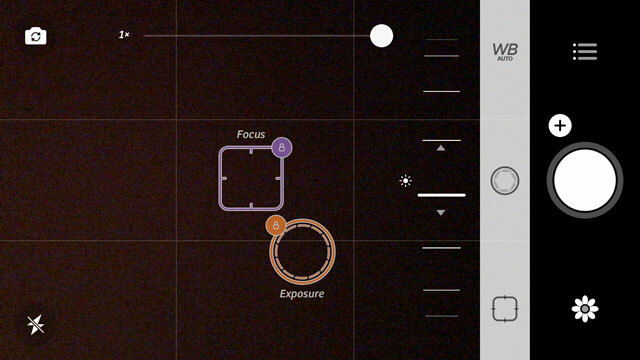 The Camera+ app for iOS lets you set and lock focus manually. Your phone's camera automatically tries to find an object on which to focus. And when presented with a black featureless sky, the camera doesn’t know what to do. By putting your camera in “landscape” mode, you’ll be pre-setting the focus to infinity and narrowing the lens opening, which keeps both near and far objects in focus. The Camera FV-5 app for Android lets you change focus to infinity and has a landscape mode. If your smartphone's camera app doesn't have landscape mode, you'll want to manually set the focus to infinity. 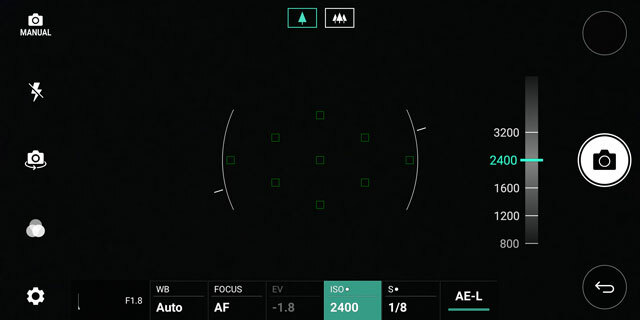 There's an infinity focus option with Camera FV-5 ($3.95 in Google Play) for Android phones. For iPhones, you can use Camera+ ($2.99 in App Store) and manually select and set a focal point in the distance. If you have access to a camera, you'll want to look for "fireworks" mode. Most point-and-shoot cameras have a button or dial with “SCN” or “Scene” on it. Otherwise, you’ll find it under the “menu” button. When you put your camera in scene mode, a list of the available modes will pop up on screen. Select the one that looks like a spray of fireworks and/or says "fireworks." Turning your flash off will let your phone's camera know that it only has available light to take a picture. This is important because the camera will then keep the shutter open long enough to capture the fireworks. 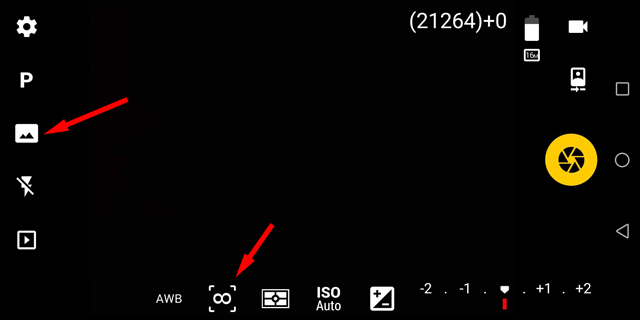 The flash button is usually a separate button on the main camera app screen or in the settings within the camera app. High ISO will crank up the sensitivity of your phone's camera so it can see details in the dark. However, the fireworks themselves are quite bright. So, to avoid overexposure and reduce noise, take your camera out of Auto ISO and change the setting to ISO 100 or even lower. The ISO setting is usually found under the main menu or in the settings within the camera app.